After more than a decade, the unsolved murder of a young woman comes to a shocking conclusion in Secret in Their Eyes, coming to Digital HD on February 9, 2016, and Blu-ray combo pack, DVD and On Demand on February 23, 2016, from Universal Pictures Home Entertainment. From STX Entertainment (The Gift), Secret in Their Eyes is a powerful and unforgettable thriller based on the Academy Award-winning film El Secreto de sus ojos (Best Foreign Language Film, 2010) that will have audiences riveted until the last mind-bending twist. 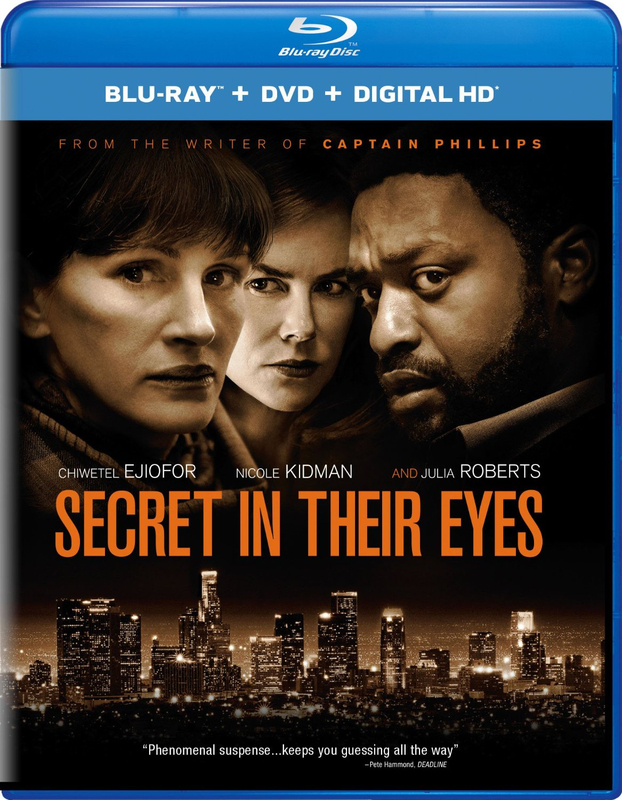 With a star-studded cast and an Oscar-nominated writer-director at the helm, Secret in Their Eyes on Blu-ray and DVD includes feature commentary by the filmmakers, a look behind the scenes at the making of the movie and an exclusive interview with actress Julia Roberts. 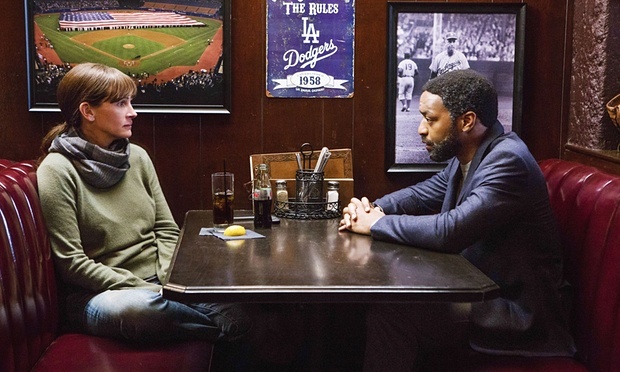 Academy Award-nominee Chiwetel Ejiofor (12 Years a Slave) and Academy Award-winners Nicole Kidman (The Hours) and Julia Roberts (Erin Brockovich) star in this intense thriller that explores the murky boundaries between justice and revenge. A tight-knit team of investigators — Ray (Ejiofor), Jess (Roberts) and their supervisor Claire (Kidman) — is torn apart when Jess’s teenage daughter is brutally and inexplicably murdered. After obsessively searching for the elusive killer every day for 13 years, Ray finally uncovers a new lead that he’s certain will resolve the case. No one is prepared, however, for the shocking secret that will reveal the enduring, destructive effects of personal vengeance on the human soul. Win 'THE SECRET LIFE OF WALTER MITTY' on Blu-ray/DVD Combo!